When going on a camping trip, or a bush trek, one needs something that cuts away at anything from foliage. However, it also needs to transform into a weapon, if the need be. Something like this should also be a part of your survival kit. A cutting tool is essential. 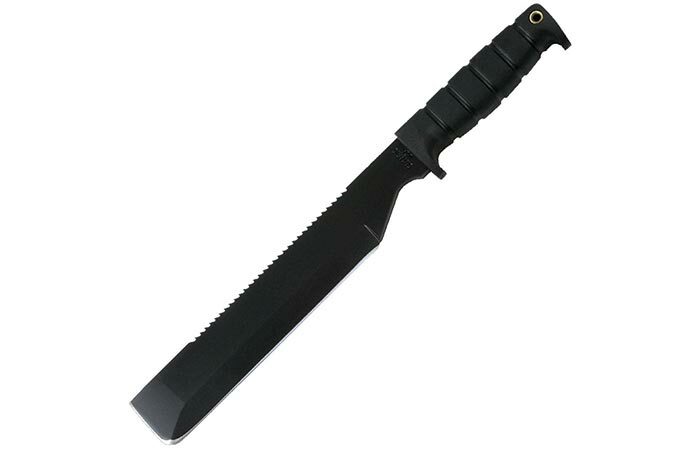 Thankfully for us, the Ontario SP8 Machete delivers. 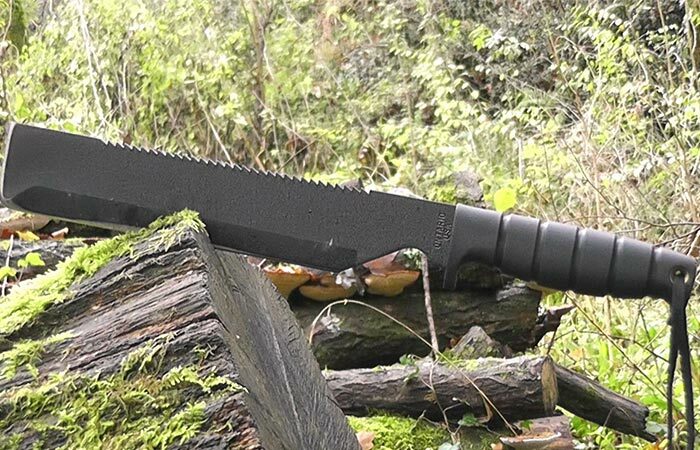 Not only does the SP8 Machete look like something that comes out of a post-apocalyptic world, but it is exceptionally functional. Designed to be rugged, this blade will deliver anything from chopping to cutting and even sawing, thanks to the saw bladed back side. The blade measures 10-inches in length and it weighs 22.5 ounces. The Ontario SP8 is constructed from 1095 Carbon Steel. This steel is not only rugged, but it is also exceptionally hard. Furthermore, it is extraordinarily resistant to corrosion. The blade itself is also 10-inches in length. In addition to this, the SP8 comes with a fantastically tough Kraton handle. The handle has specialized grooves that act as a superb grip. The back of the handle also comes with a lanyard hole that can allow you to easily secure the blade to your wrist, or even to secure a bag for easier carrying. When not in use, simply place the entire blade into its leather Cordura sheath and you’re set to go.